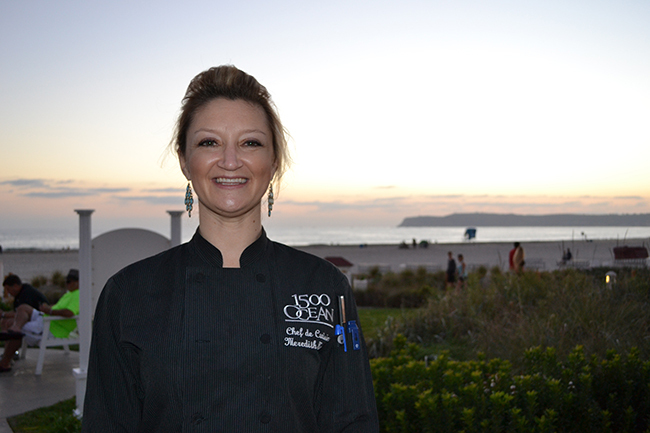 The new chef de cuisine at 1500 OCEAN, the Hotel del Coronado’s signature restaurant, may be petite, but her menu offerings pack a powerful punch. Meredith Manee previewed her fall culinary offerings at an afternoon get-acquainted reception for members of the Hotel Del’s Beach Village, beginning by gathering guests around the hotel’s herb garden, which she had just finished replanting for the fall and winter seasons, working with the Del’s executive chef, John Shelton, and hotel gardeners. The garden is on the backside of the Duchess of Windsor cottage, just across from the entrance to Spa at the Del. With all plantings clearly labeled, the garden provides inspiration for locals who might want to till their own soil. Case in point: Manee wowed guests with tray-passed cocktails that included Absolute vodka with raspberries and rosemary, and whiskey flavored with candied ginger and cinnamon. Aah…to go back to high balls after tasting these spirited spirits would just seem so humdrum. The signature cocktails are available at 1500 OCEAN and the adjacent Sunset Bar, which Manee also oversees. 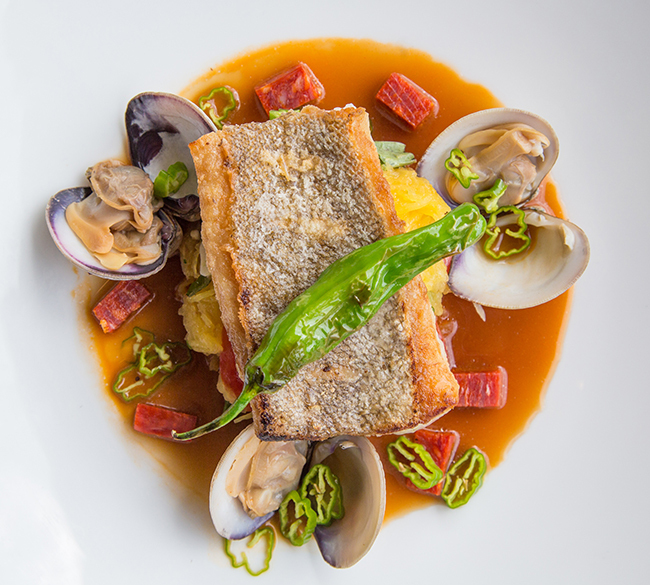 As a child, Manee spent hours in the kitchen learning her family’s traditional Italian flavors. Developing as a young chef, she added heat and spices from around the world to her repertoire. 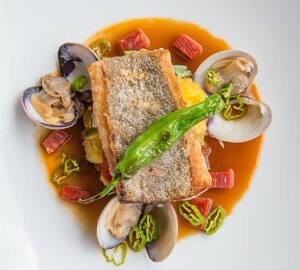 Heading the staff of culinary professionals at 1500 OCEAN, she blends those flavors in unexpected ways with seasonal produce from local farmers to bring new light to the California Coastal menu.